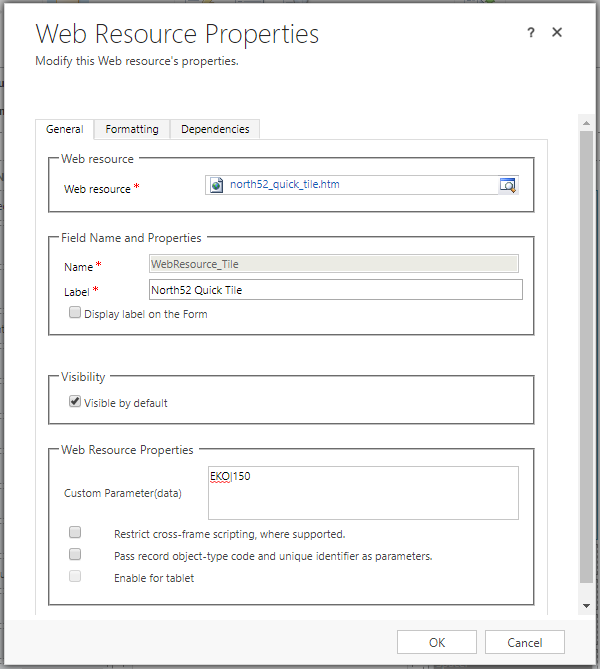 The Quick Tile App from North52 is a ready-go-to solution for Microsoft Dynamics 2013/2015/2016/365 that allows you to place a HTML web-resource on a form which will dynamically display multiple informational tiles to your end users. The tiles are configured by a single North52 Formula and load when a record is opened up. It consists on a single HTML web resource which can be used as-is or can be fully customized to any specific requirements. The following screenshots show what Quick Tiles look like when they are configured on the Account form. It can dynamically change the tiles layout depending on the available size. Note: You can also put HEX values into the colors. Note: When the TileBackground is set to 'fill' then the resultcolor will change the color of the title text and the flag as well for readability reasons. If you do not change the resultcolor text then the default colors are applied. Note: if you only enter the formula ShortCode Quick Tile will use automatically use the full width available to it for each tile. Note: if you only enter the formula ShortCode north52_quicktile will use automatically use the full width available to it for each tile. Note: if you are using the third parameter, then you must put in a second parameter, usually 150 - 200 provides the best standard resolution. You can adjust the number of rows depending on how many tiles you will want to display. 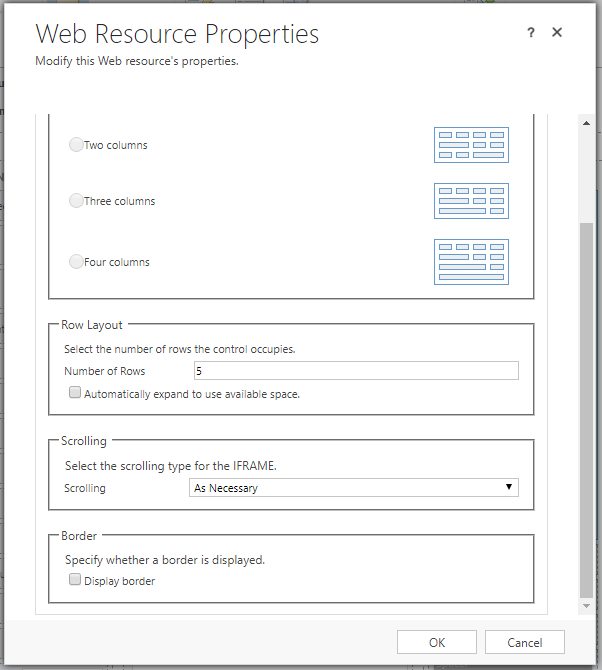 To populate the Quick Tile web resource you need a North52 Formula using the CreateQuickTile() function. You can create a single tile only, or multiple tiles using the CreateQuickTileCollection() function. In the example below we are using a North52 Decision Table to populate a Quick Tile. Each of the fields is a Decision Table Calculation and we are using a standard Calculation to count the number of open opportunities. To create multiple Quick Tiles you would use multiple sheets on the Decision Table and the CreateQuickTileCollection() function. See the Sample Quick Tile formula. 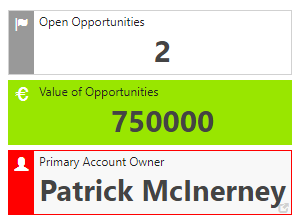 When another opportunity is added to the account then the tile will display the second color scheme when the tile is loaded. You can make the North52 Quick Tiles clickable as well, in the link field you would use a North52 LinkHyperLinkUrl() function. Thanks Greg, the article link has been updated.